Showing results by author "Vera B. Williams"
The money jar that Rosa, Mama, and Grandma filled with their coins will be emptied to buy Rosa whatever she wants for her birthday. But what can Rosa choose that special enough-unless it's a gift they can all enjoy! After a fire destroys their home and possessions, Rosa, her mother, and her grandmother save and save until they can afford to buy one big, comfortable chair that all three of them can enjoy. When Bidemmi starts to draw, her imagination takes off. Enter her world and watch her stories grow and grow. You will never forget her. Now that Rosa's grandma is sick, Rosa and her friends play music for her after school. She says their playing makes her feel like a girl dancing at a party - and that gives Rosa an idea. She organizes her friends into the Oak Street Band in order to earn money her family needs because of her grandma's illness. A funny book that makes you cry. A sad book that makes you laugh. A book about two sisters and their family that makes you wish you were part of it - and grateful that you are not. In short, this book is one surprise after another. 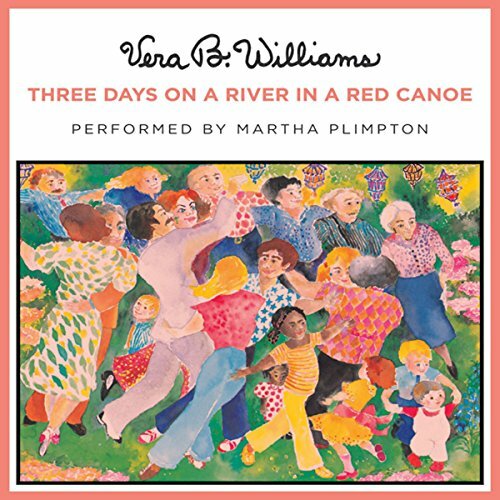 The only thing that is not a surprise is that Vera B. Williams has created a wholly unforgettable, absolutely wonderful portrait of Amber, Essie, and their world. Listen to the book. You will never be the same again. 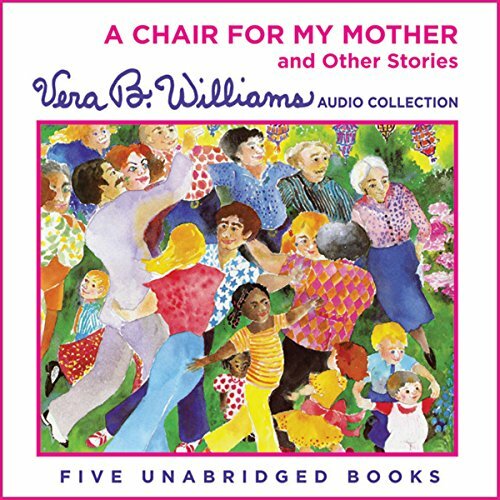 Listen to four stories about Rosa and her family: "A Chair for My Mother" (A Caldecott Honor Book); "Something Special for Me"; "Music, Music for Everyone"; and "A Chair for Always". This collection also includes "Cherries and Cherry Pits" and an interview with the author. Follow the red canoe from moment to moment as it journeys down river carrying the family on a camping tour. It's the next best thing to paddling it yourself. There are some things that Rosa just knows. She knows that she can't wait to meet her new baby cousin, due to be born at any minute right upstairs. She knows that she will grow up and move away and maybe go to college, and perhaps even become the president of the United States. And she knows that the chair, that wonderful, beautiful, beloved chair, the chair for her mother, will always be there.